Another massive Mistique release is in store right now, and it comes from one of the long term servers on the label, Slovakian producer Ladislav Zajic aka Domased Electronica. Being a steady producer on the label, he now returns with another fabulous production called “Venus”. With crisp melodies and superb pads working the full track, this is just another statement about what this producer is all about. It’s a pure mint production with all the right elements that we expect from a production carrying the Domased Electronica alias. On remix duty you will have 2 incredibly talented names back on the Mistique roster and first out is the Manchester (UK) bound John Ov3rblast who brings on his deep vibes once more on the label. The other remix in this package comes from the rising talent from Argentina, Mindshield who bring on his full artillery of deep and driving kick drums, smooth pads and overall evolving sound design. Another masterpiece is out from the Mistique factory! 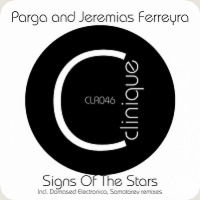 Another superb release is out on Clinique Recordings, this time through a collaboration between Parga & Jeremias Ferreyra called “Signs Of The Stars”. With deep kicks, dark bass chords and melodies in progression all the time, you are to get a superb production to fill your club floors and sets with, it’s quality stuff coming up! On remix duty you are to face new work from 2 great names in the business, and first out is another extremely good remix from Slovakian ace, Ladislav Zajic aka Domased Electronica. He brings a deeper touch to the original ideas, where he is putting in a great effort to build something new out of them, we think he has succeeded. Be ready for deep underground elements in a blend mix with serene and clear structures that gives this production an awesome feel. The 2nd remix comes from Green Snake Records owner, Alexey Samotarev. Under his family name, Samotarev, he brings out his music and it’s great to see him back. He brings on a deep and dirty take here, cool percussion laden structures, with a cool repetitive synth line working the track, quality production! The 46th release on Clinique Recordings sees a fresh collaboration from two of Argentina’s top up and comers. Parga and Jeremias Ferreyra have teamed up for ‘Signs Of The Stars’ which comes with remixes from Domased Electronica and Samotarev. The Original version of ‘Signs Of The Stars’ has been in pipeline for quite some time so it’s great to see it come out on a great label with two top notch remixes. 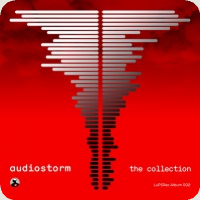 The dark and ominous beginning of the original mix is certainly a great atmosphere setter. As the track builds though there is an underlying melodic beauty that begins to develop. Smooth chord changes in the bass line along with some funky hooks and trippy vocal gates highlight the centre section before the main break. Following the wispy drop the track climaxes with all the sweeping vocal effects, smooth chord changes and spacey electronics coming together in perfect harmony. Solid original from Parga and Jeremias. The first remix is provided by one of the progressive underground’s most legendary and long standing producers. Domased Electronica came up through the scene around the same time Michael & Levan an Stiven Rivic started their Mistique Music imprint. The Slovakian producer was one of the labels primary artists and has released a string of impressive originals and remixes over the years. His ‘Signs Of The Stars’ remix offers a more funky and spacious take on things. Charming melodies complement the rolling groove while a wide array of dynamic hits add just the right amount of vibrancy to the smooth nature of the piece. 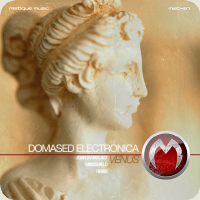 Great stuff from Domased Electronica. Closing the package out is Green Snake headman Samotarev who is making his first appearance on Clinique here. The Russian producer has crafted a more stripped down and techno inspired interpretation of ‘Signs Of The Stars’. The dark, ominous nature seems ideal for a cool backroom space or a real atmosphere setter in the main room. The clanky drums are quite nice here, the looser swing they add to groove really makes for an interesting listen while the top end pads balance everything out nicely. Great remix from Samotarev and a top notch release from Clinique. Tabriz & Zuckermann formation consists of two, hard working DJ’s, both hailing from Oryol City, Russia. 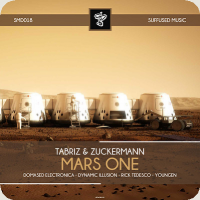 Sparked by a mutual desire to share the most current and innovative tracks, Tabriz and Zuckerman united at the end of 2007 under the project name Deepsens. This dynamic pair brings decades of experience to the table: as promoters, they have organized events ranging from private dance parties to huge electronic music festival, and they won’t fail at producing also. Their new intergalactical journey called ‘Mars One‘ is a trippy prog hymn, with dynamic upbeat, which fits perfectly under the flag of Suffused Music. You’ll get remixes on the main theme by Domased Electronica, Dynamic Illusion, Rick Tedesco and Youngen. Original Mix is 8 minute of pure floating, strings come and go, creating a special, endless atmosphere. Domased Electronica carefully added more drawing to the original, a powerful baseline drifting under the complex string structure. It just sound so uplifting! Dynamic Illusion‘s version is a bit faster than the original, but the main flow remains the same, with more dancefloor oriented approach. This one is a flashback to the progressive scene’s first determinative florescence. Rick Tedesco brought a prog break milieu, which means a breath of fresh air, mixing the recognizable elements from the original tune. Youngen‘s taste on the title track comes through crystal clear, Mladen’s intelligent sound based on the melodic parts, the used textures becoming a monster, traveller piece! 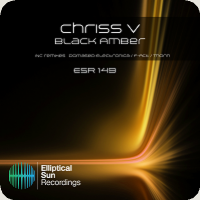 The super talented producer, based in Tirana, Albania, Chriss V brings on a superb deep and driving production on Elliptical Sun Recordings called ”Black Amber”. With deep structures, pounding kick drums and great melodic hooks he’s built a progressive gem right up our alley. On remixes you are to face a solid selection of core artists to the label. Be ready for massive treats from Domased Electronica, F-Act and Thorin who all bring on their respective sound design and cool ways of express their musical knowledge. A superb ESR release is in your hands! Drunk Dragons aka Kostas Rulinskas makes his shiny debut on Suffused Music, which is already the 10th release of the label. Kostas has a diverse taste in music, from chill out to progressive house he collects & builds the finest elements to his productions, shake it together as one in a stylish way. 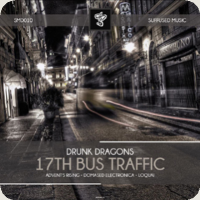 With his track called 17th Bus Traffic he step into the world of slow evolving, melodic progressive house. The variations on the main theme comes from Advent’s Rising, Domased Electronica and LoQuai. The original track operates with a dreamy string layer, spiced with a cool piano line, which add the melancholic character of the production. Advent’s Rising stripped back the original, dropped a massive foundation under his revision with simple, but effective drum programing and a memorable, plump groove, sharpen the energy blast in the breakdown with the melody tatters. Domased Electronica created an euphoric suit to the title track using a complex soundscape, combined the 4/4 rhythm with breakbeats. LoQuai preferred to build a breaks version from the recognizable elements of the original track. He put a sinister feel into it, with a fat sub, make it so impressive. Michael & Levan and Stiven Rivic’s Mistique Music returns for this week for a new single from Deng & Slavak. Denis Gusev & Slava Budyukin make up the Russian duo and this is their 3rd appearance on Mistique. Their last single Legend Of Ararat was one of our favourite Mistique releases this year and their new one entitled Dreamland promises to be just as good. Deng & Slavak are two of the best at crafting those gorgeous ethnic sounding productions with a lot of soul. The wailing vocal samples and haunting musicality blends in perfectly with their intricate progressive groove. Dreamland carries all these great traits and it’s one of those perfect tracks for the morning of a psychedelic festival. We like it even more than Legend Of Ararat and you probably will too. The duo have also provided a second Drive interpretation which is touch more melodic and perhaps more psychedelic. It is absolutely beautiful and in our opinion even better than the original, great work from Deng & Slavak. 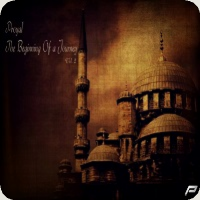 The first remix is provided by Domased Electronica who has been one of this year brightest stars in progressive house. The Slovakian producer returned to the scene after a bit of break and has been delivering some of the strongest tracks of the year for Mistique, LuPS and Elliptical Sun. For his Dreamland interpretation Domased Electronica has crafted a percussive peak time rocker. He is marvellously reworked the vocal wails and incorporated the soulful instrumentation in such a way that it is still going to be perfect for the dance floor. Expect a huge moment following the break when the stripped down groove drops back in along with the full vocal complement. Another massive production from Domased Electronica. The final remix on package comes from Stanisha who we have been raving about for years now. Easily one of the most creative producers in the underground who is still lately unrecognized for his talents. Stanisha’s Wake You Up interpretation of Dreamland closes the release out on a strong note. The vocal has been processed into a morphing gate that is incredibly cool and the swirling spacey synths that lead into the main breakdown are sensational. The tough beats comeback in strong after the drop and a drive towards a short broken beat section where the melodic content of the record expands dramatically. The final third of the track is likely one Stanisha’s most gorgeous constructions to date. The vocal wails become incredibly emotional layered over a bed of newly introduced electronics which sound out of this world. An all round amazing package from Mistique that is not to be missed.